Americans are as divided as ever between Democrats and Republicans, liberals and conservatives. Is there a psychological foundation for the red/blue split? Researchers at the University of Nebraska-Lincoln are studying liberals' and conservatives' reactions to happy or pleasant photographs and scary or sad ones in an effort to learn more about the cognitive underpinnings of political preference. The findings? Conservatives tend to concentrate more on images considered to be negative, while liberals' eyes tend to linger on positive images, says political science professor John Hibbing. 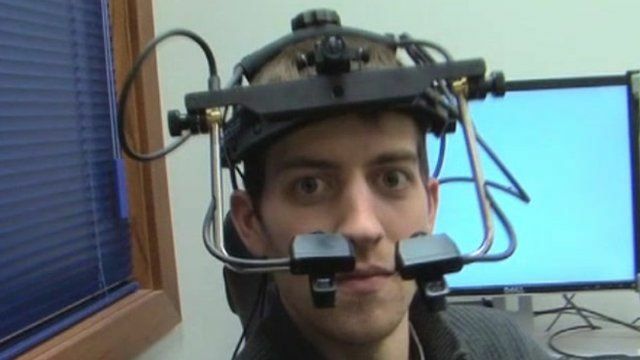 The BBC's Matt Danzico visited the university, where the researchers were employing eye-tracking kit on subjects who were also asked to fill out a political questionairre.